Conectum enables your company to successfully fill your vacancies with international engineers and programmers for the long term. We find specialists as well as managers for different areas such as development, project management, quality assurance, manufacturing, distribution and many others. Happy customers attest for our success for over 8 years. We will keep looking until your vacancies are filled. Whenever we get a search order this will always lead to a recruitment. As long as that is not the case we will keep searching. Conectum connects you to your future employees. We have several years of experience in the classic direct contacting of candidates. International Recruitment poses high demands on the search process which is why we have created the so-called Multichannel Recruitment Process. Thanks to it we can find suitable candidates in less time, so that your vacancies are filled even faster. In any international recruitment project there are always many questions, both, from the company’s and from the candidate’s side. It is very important to get a professional response to all these questions since that is the only way that complex decisions can be made. We are fully aware of the complexity of the decisions that need to be made in an international recruitment process, which is why we are always at the disposal of both sides, providing our advice and expertise. Furthermore, we are always open for suggestions. We accompany you through all phases of the process! We make the process as simple as possible for both parties. One of our German-speaking consultants is always involved in all phases of the process and supports the company as well as the candidate from the begin of the search until the placement and even further. Bureaucracy in Germany: Taxes, Insurance, Child Benefit, etc. The interviews are conducted via video conferencing thus saving time and resources. Possible trips for a personal interview are planned optimally to save costs and time. Companies in Germany that want to internationalize themselves or want to engage the skills shortage with new recruiting methods and are interested in hiring suitable international talents. Spanish branches of German companies, as it is our competitive advantage that we know and understand both, the mentality and needs of our German clients, as well as the Spanish labour market. Branches of Spanish companies in Germany that need a service provider that understands their needs and mentality and knows the German labour market. Companies in Spain interested in hiring Spanish talents with international experience and enabling their return to Spain. We invest time in a personal meeting with you, to thoroughly get to know your company and the profile. You will receive a contract matching the profile in German or a language of your choosing. We activate the multichannel recruitment process with the goal of finding suitable candidates in short time and convincing them of joining the selection process. You receive extensive information about each candidate in German, Spanish or English. We help you organize the interviews with your favourite candidates. We support you in the negotiations, if needed. We support the company and the candidates throughout the whole process and even after a successful recruitment. A search request always ends with a successful recruitment! The shortage of specialists will endure for years to come. Consequently, there is a need for short term solutions as well as long term programs. 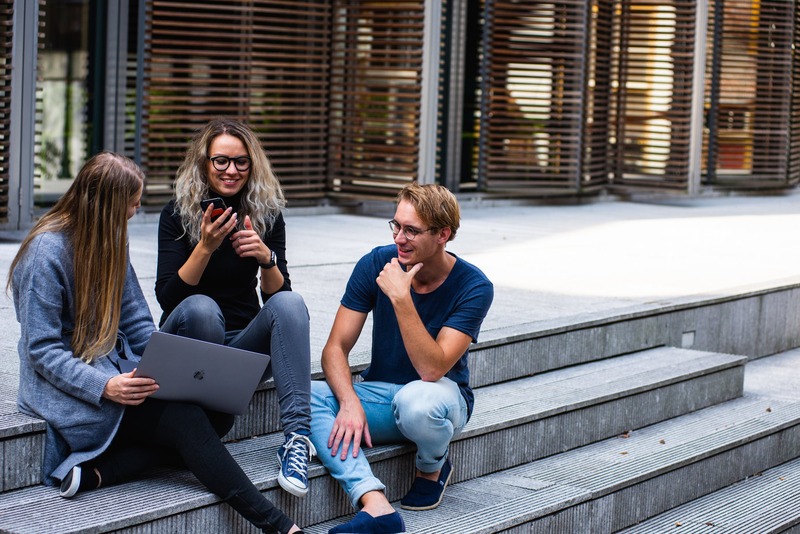 With the Campus Germany Program, Conectum provides companies based in Germany with a solution that can supply the young talents required in the long term. The goal of the hold program is that these students once they have finished their studies join the trainee program or a junior position in your company. Campus Germany offers companies based in Germany the opportunity to contact talented students to draw their attention towards their company and their Trainee-Programs. We find and contact talented students in their last two years of study. We evaluate the students and present them to the companies through personal interviews or via videoconference. For the chosen students we create a program together with the company that the students follow in their last two years. The devised programs contain trainings in their place of study and internships at the company. For the trainings we cooperate with competent partners from recognized German institutions. German language courses in a recognized language school. Intercultural communication trainings: developed by Anna Fuchs from the Institute of Communication of Schulz von Thun in Hamburg. We offer also all the support needed to coordinate the internships offered by the customers during the hold period and also continued feedback on the development of the students. Of course we are open to ideas and contributions from our customers to find everything that can prepare the students for an experience abroad.